Persuasive Words or Spirit Power? And when I came to you, brethren, I did not come with superiority of speech or of wisdom, proclaiming to you the testimony of God. For I determined to know nothing among you except Jesus Christ, and Him crucified. I was with you in weakness and in fear and in … Continue reading Flesh or Spirit? What voices do you listen to? Who do you go to for counsel and advice? What books do you read the most? Who is your favorite politician or government official? Your most desired preacher? Your most beloved sports figure? Your preferred news show? Who do you believe the most? The least? The Power of God … Continue reading What Voices? Once we have trusted in Jesus Christ to be Lord and Savior of our lives, does it matter to God what we do from that point on? Is obedience truly optional? Do not be deceived: God is not mocked, for whatever one sows, that will he also reap. For the one who sows to his … Continue reading New or Used? Do we live what we say we believe? Or, is our belief just words? Or, is it just a religion? Or is it just religious practices, rituals and ceremonies? 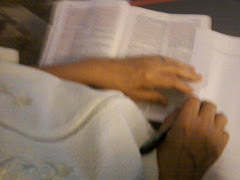 The Lord Jesus led me to read 1 Peter 2 (Select vv. ESV). As you come to him, a living stone rejected by men but in … Continue reading Do We Live It?